Imagine a fuel source that occurs naturally, powers your vehicle in the same way as conventional fuels do, and also doesn’t release any toxic emissions. This isn’t a far-fetched projection of our technological marvels, but is using pure hydrogen as an energy source. Hydrogen occurs naturally in the atmosphere, is a light element, and a constituent of water. When it combines with oxygen to form water it releases huge energy. This energy can be used to as a fuel to drive vehicles or operate machinery. There are two major ways in which hydrogen can be used as an energy source-one by direct combustion, and other as an energy carrier. 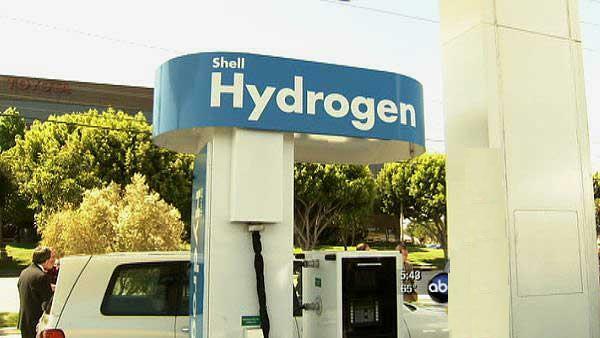 Let’s look at these both ways to utilizing hydrogen. 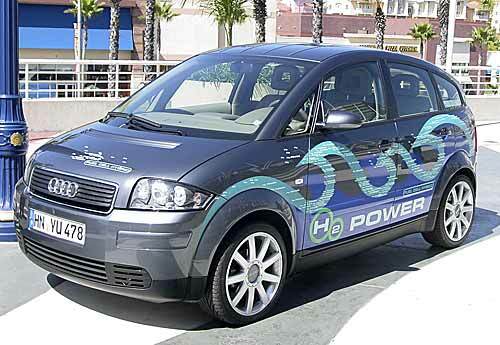 Fuel cells: Fuel cells are used to convert hydrogen into electric energy. They consist of a two electrodes separated by a medium. Oxygen is applied to one end, and hydrogen to the other. The hydrogen gas reacts with the catalyst giving hydrogen ions and electrons. These electrons flow from one end to another, giving an electric current. The hydrogen ions react with oxygen at the other electrode and give water as a by-product. This arrangement is similar to a battery cell, expect for that fact that its more expensive, and last much longer. An arrangement of such fuel cells can give a appreciable current source, which can be used to power gadgets or drive an electric motor. Such fuel cells are being used to power automobiles, and other electric appliances. Though hydrogen operated vehicles are still in the pilot stages, and are comparatively costlier then normal vehicles, they are being actively considered for usage as they offer an alternate energy source, and also are non-polluting. Research is being done to minimize manufacturing costs, and make them more productive. Internal Combustion engines: The second categories of hydrogen powered vehicles make use of hydrogen as a combustible fuel in internal combustion engines. The first such model was prepared way back in 1807, and in recent times the Ford F-250 Super Chief concept car has been designed in 2007 to use hydrogen as one of the choice of fuels. The BMW H2R is a race car exclusively designed to be powered by hydrogen gas, and generates a horsepower of 232, and has a top speed of 301 kmph. However, such hydrogen powered automobiles are much costlier than normal variants, and since hydrogen gives a less energy output per unit mass, they need to be more frequently refilled. These production models still need to be refined to optimize manufacturing costs, and develop them for public transport and specialized needs.